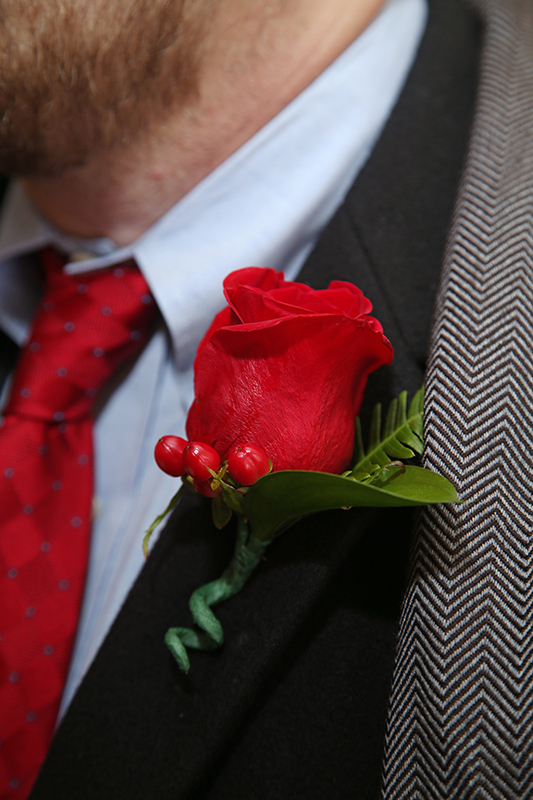 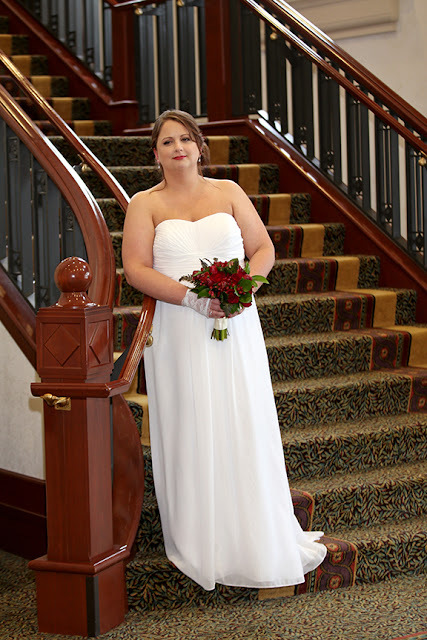 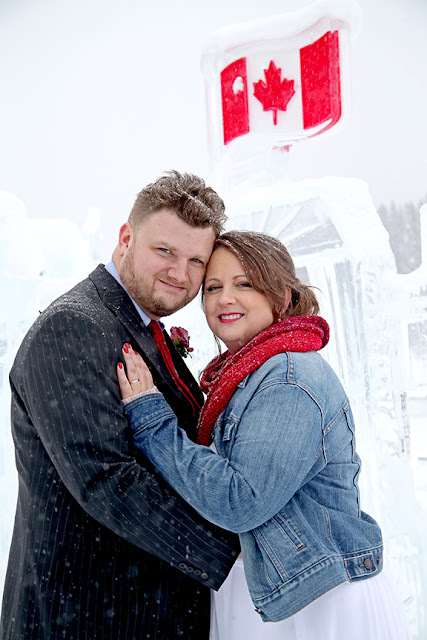 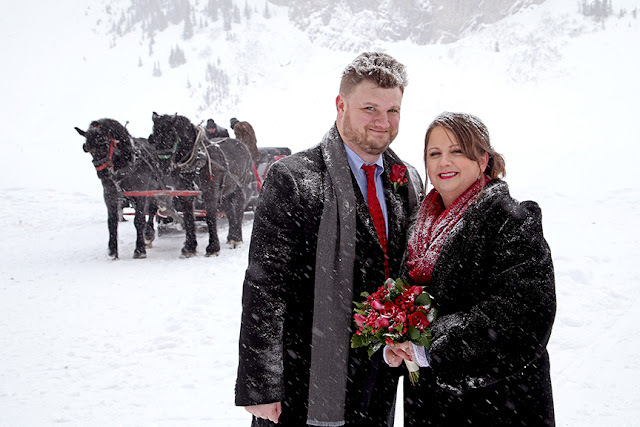 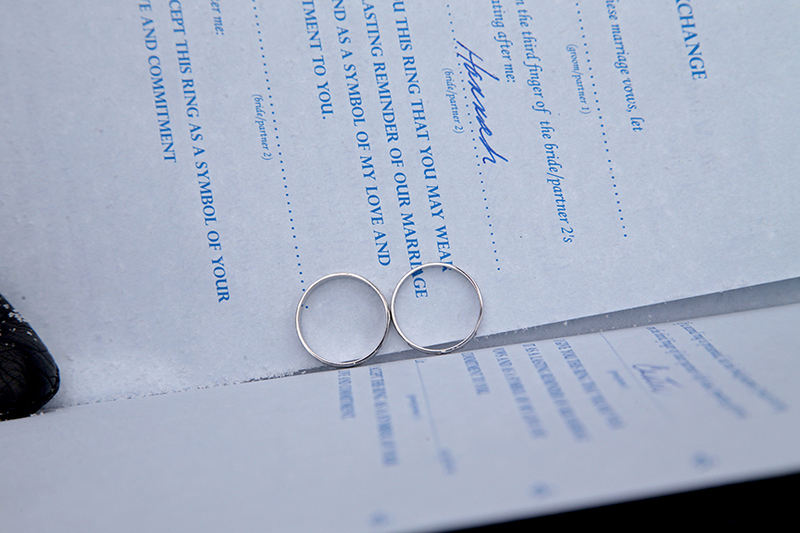 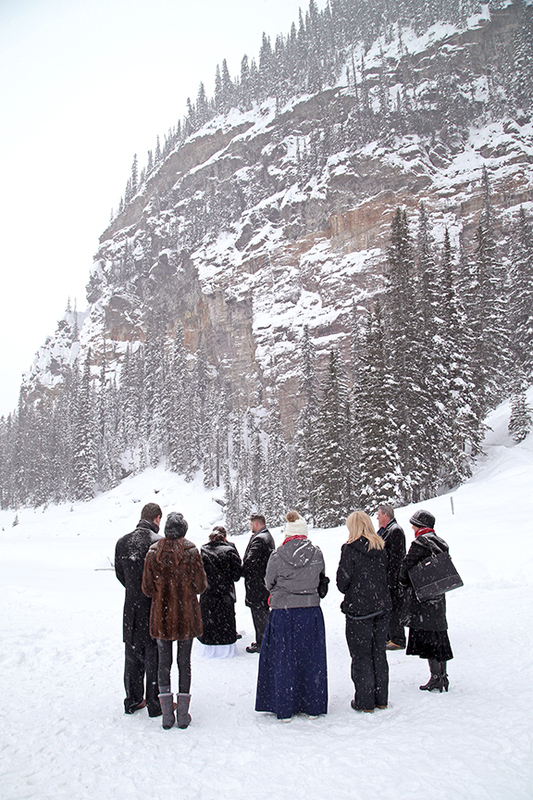 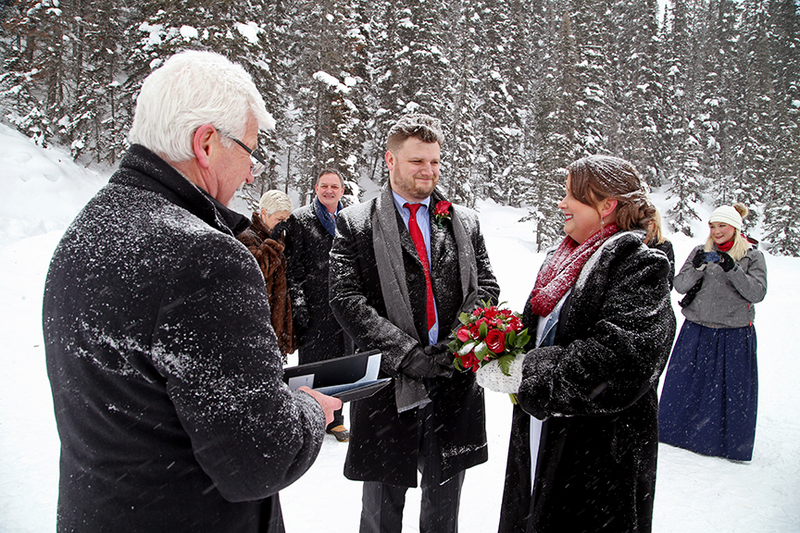 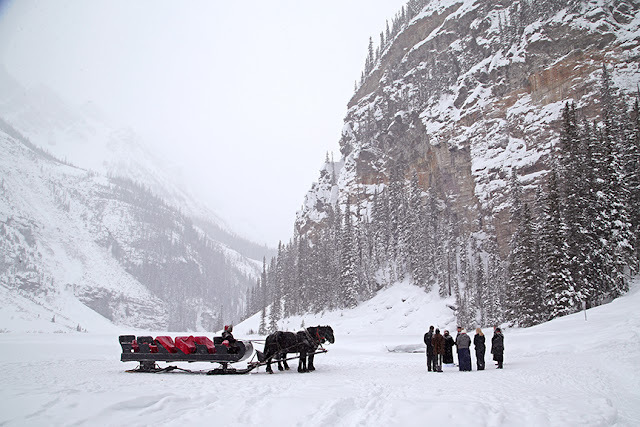 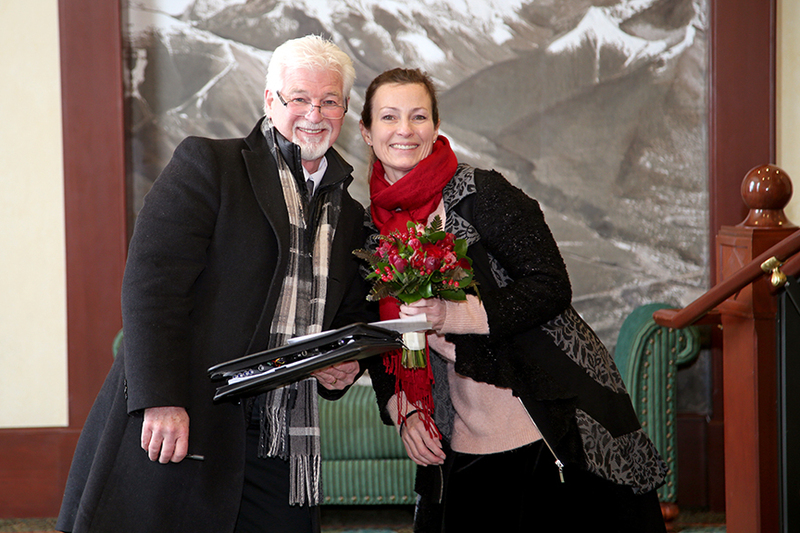 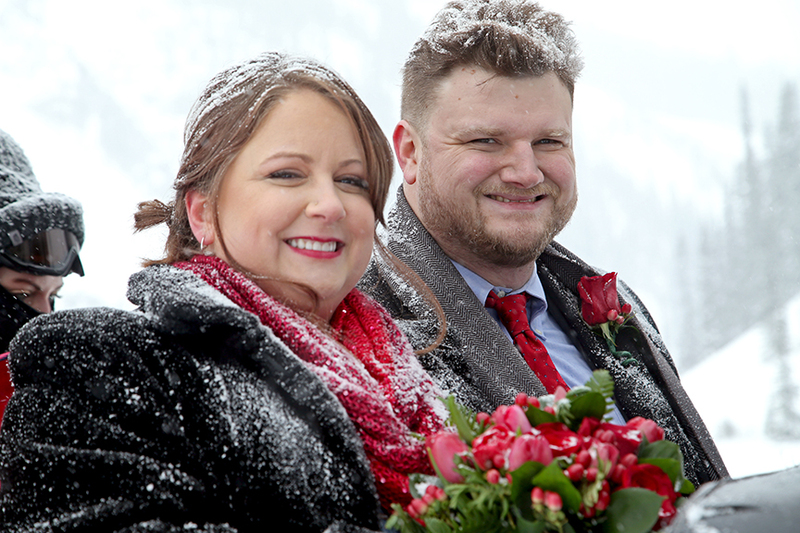 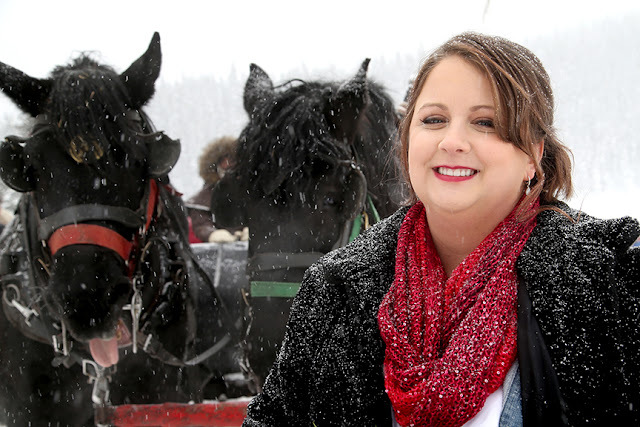 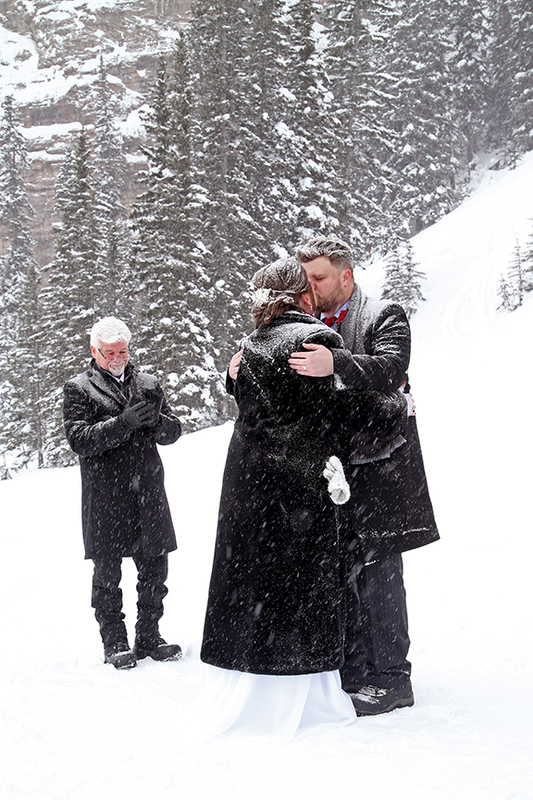 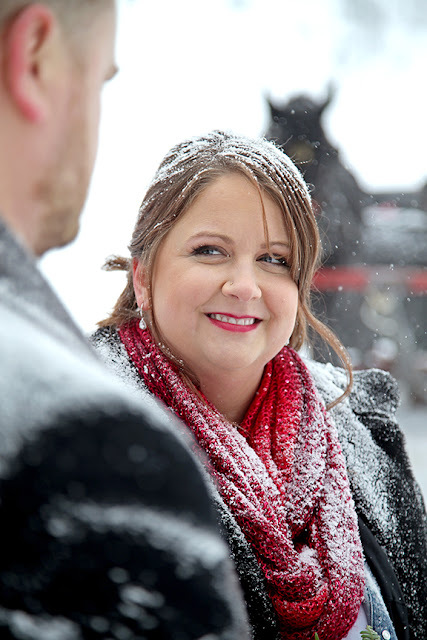 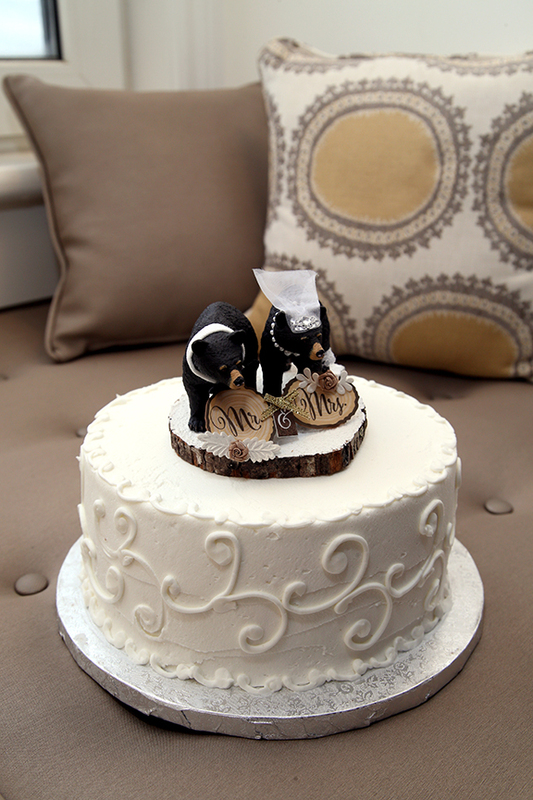 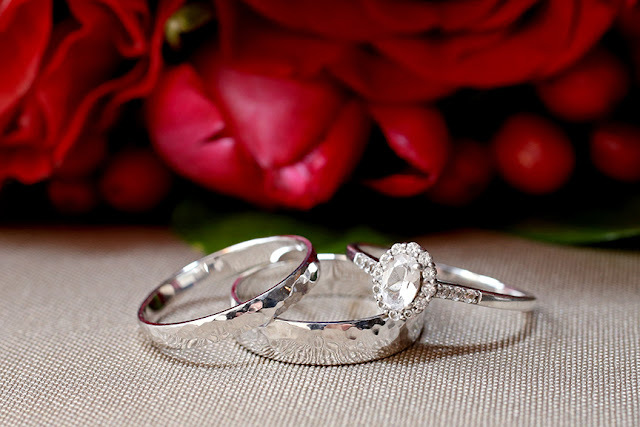 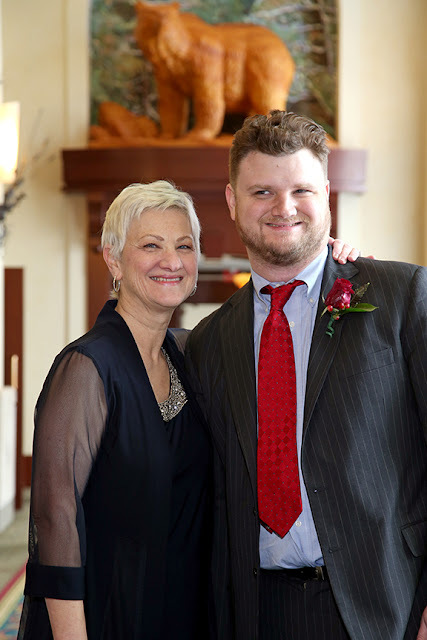 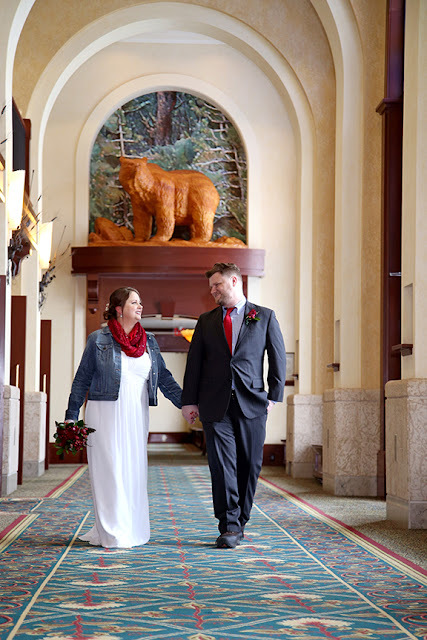 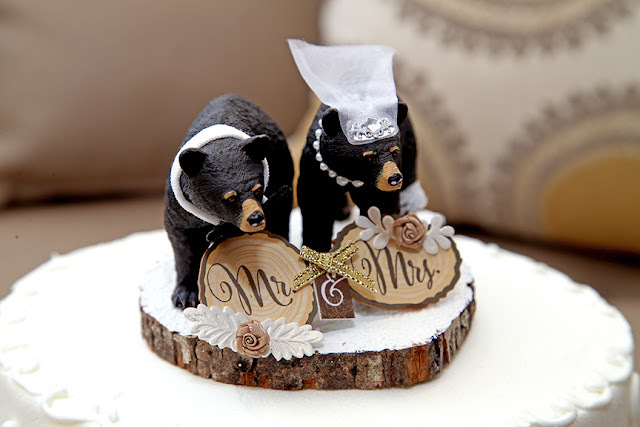 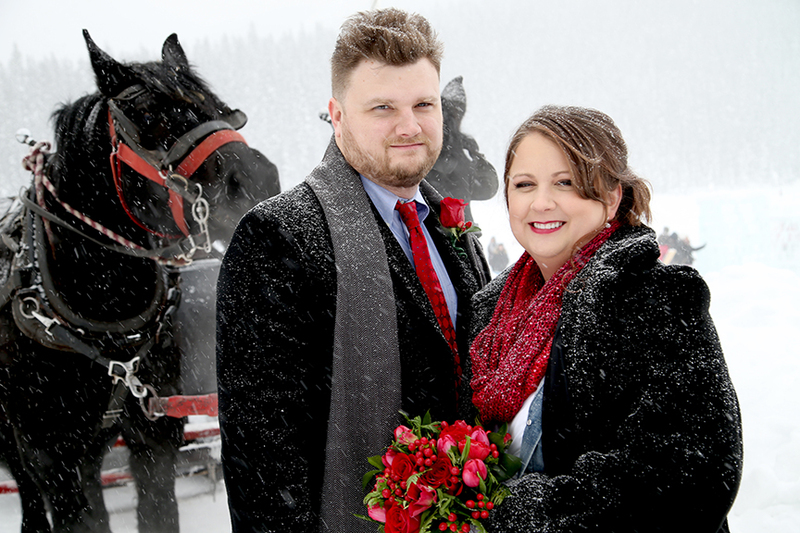 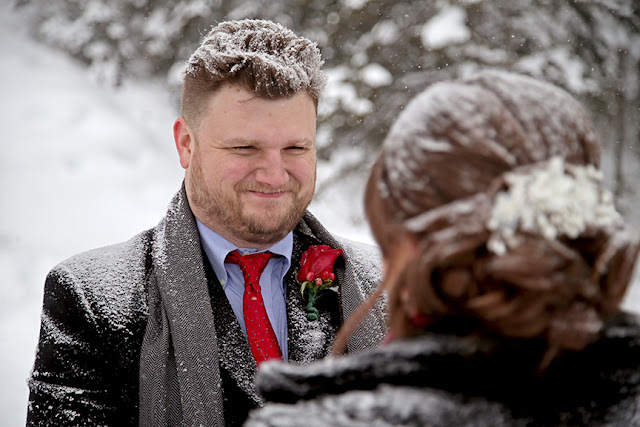 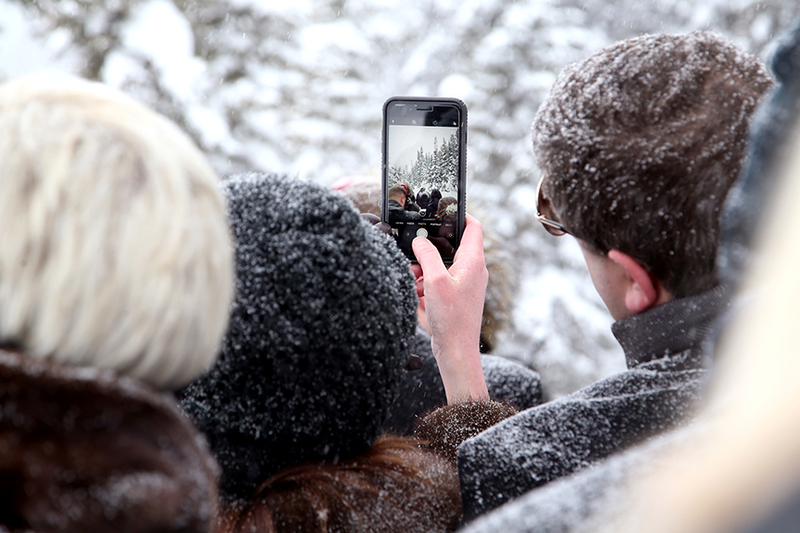 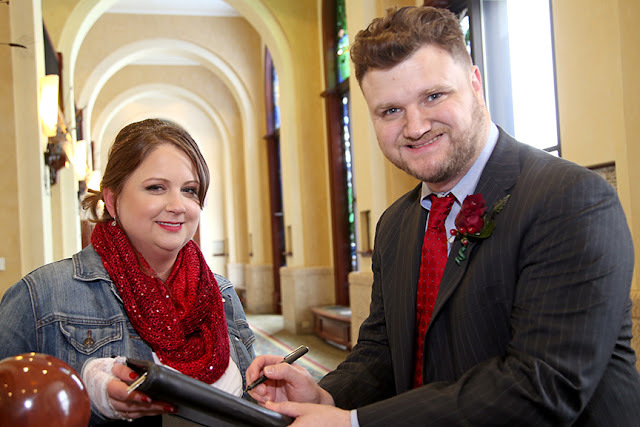 H & C came all the way from Texas for a white Winter wedding in the Canadian Rocky Mountains. 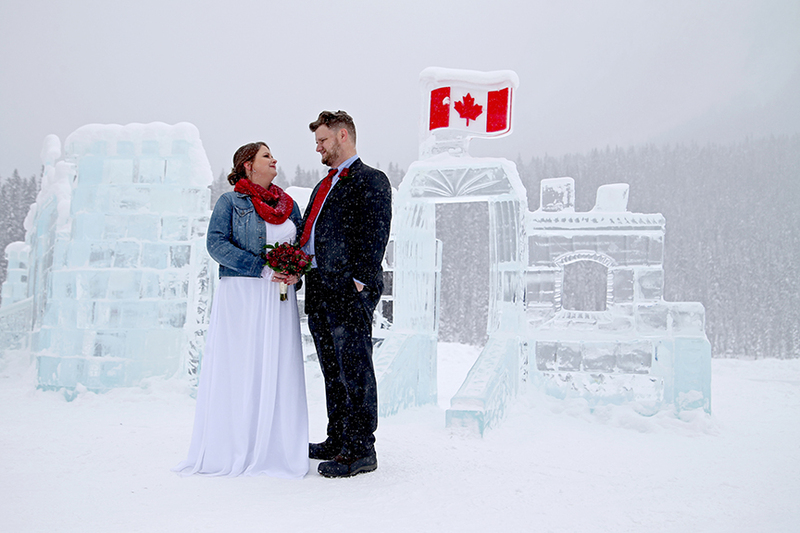 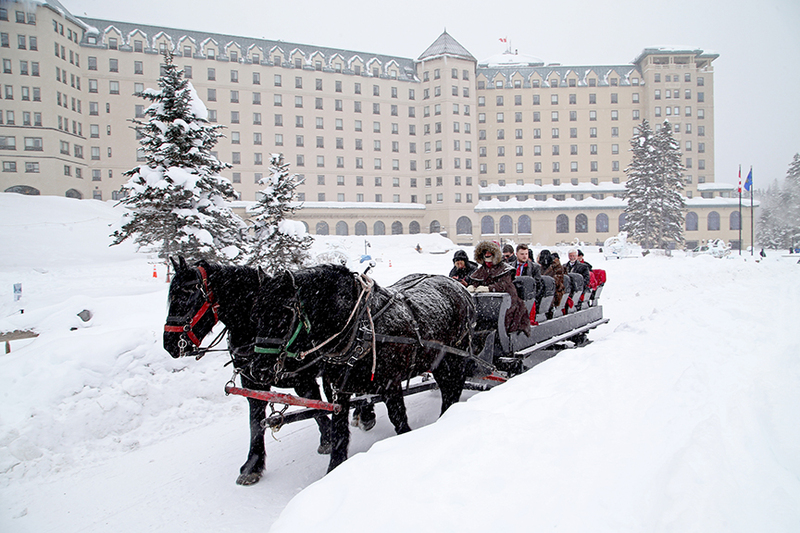 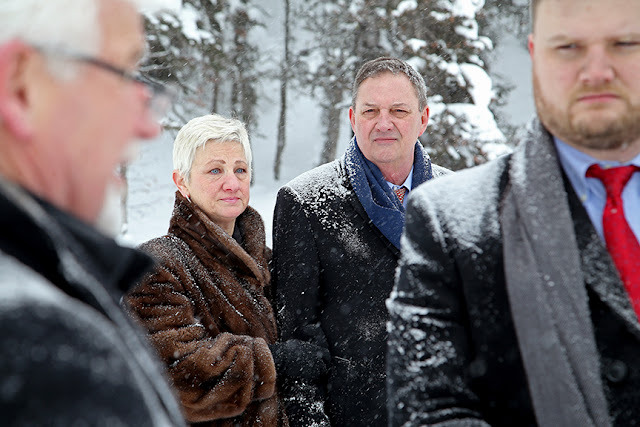 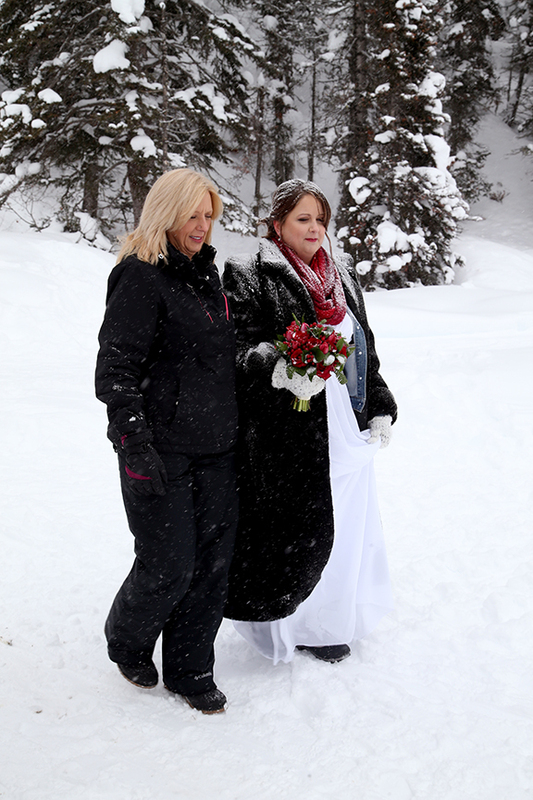 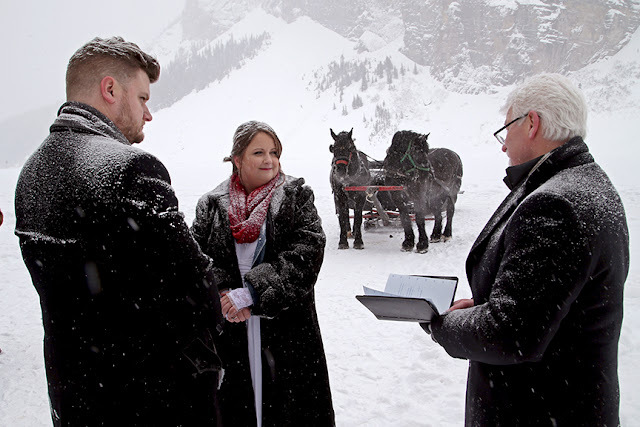 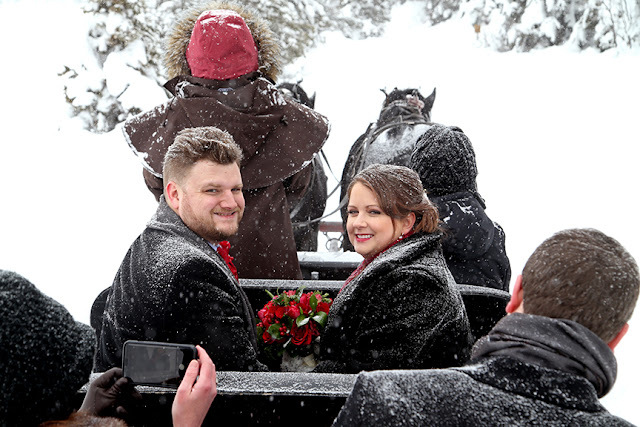 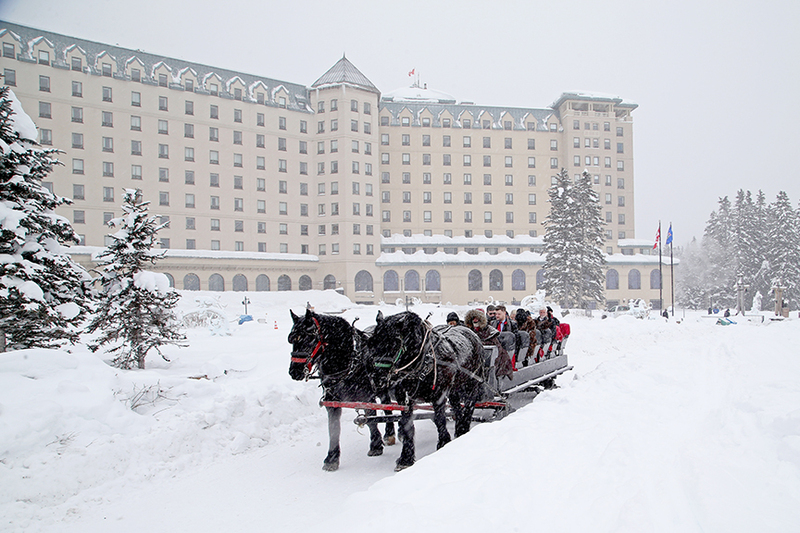 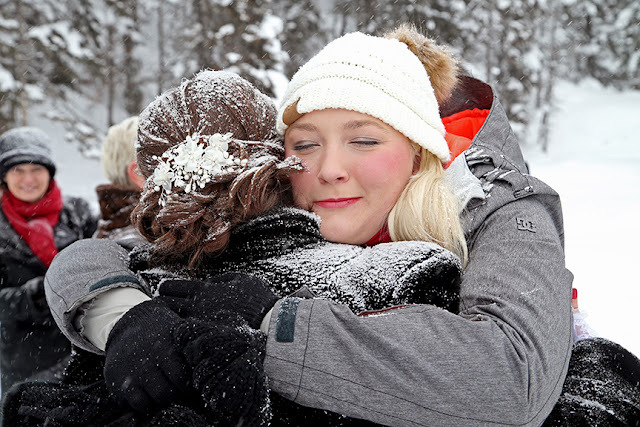 It was a magical day, with fresh snow romantically falling on the couple (snow-fetti) as they exchanged vows at the back of the iconic Lake Louise in Alberta. 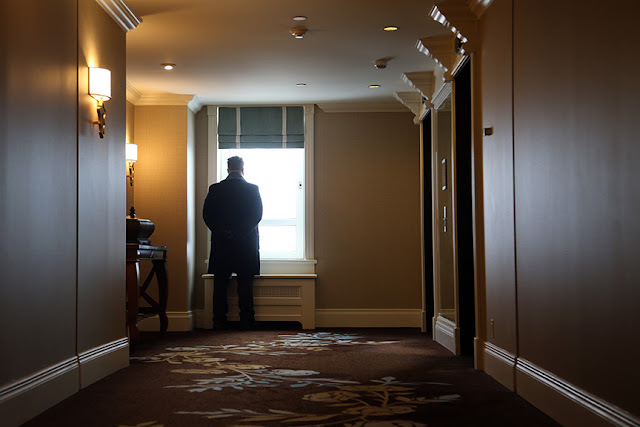 I loved H's style! 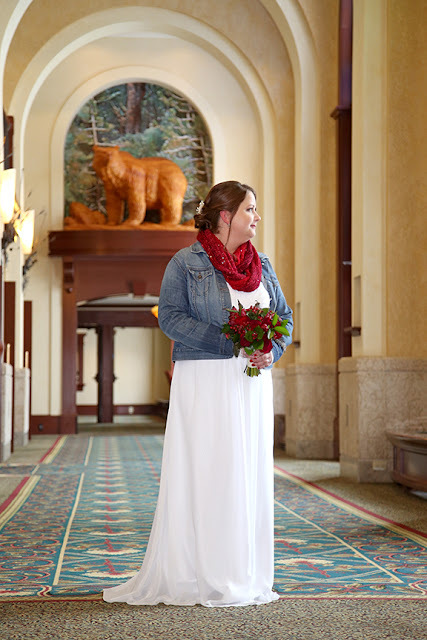 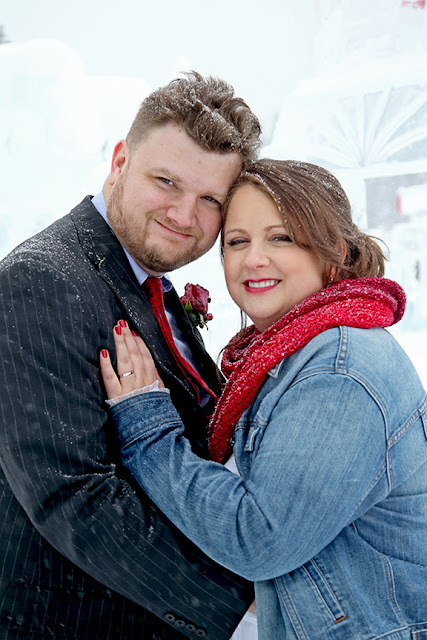 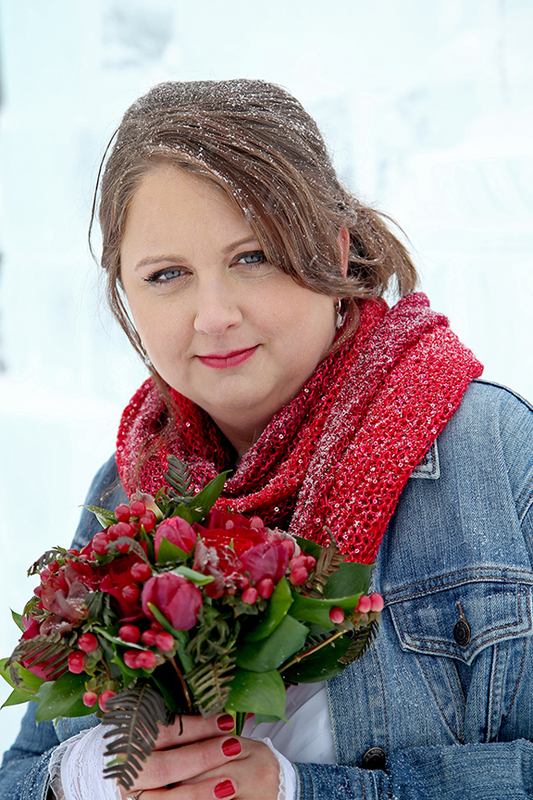 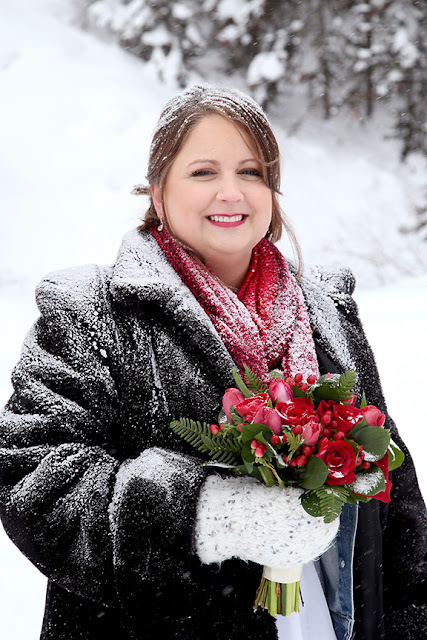 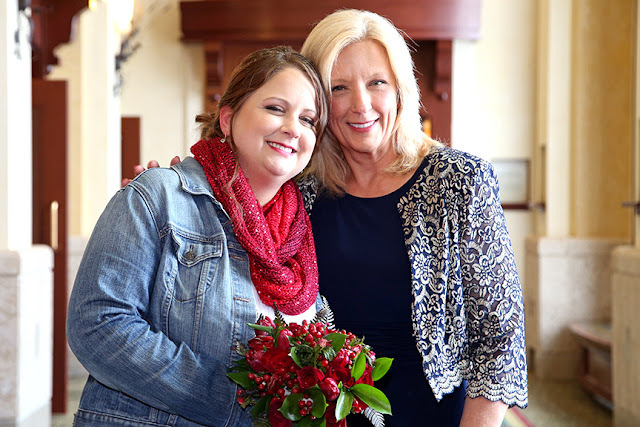 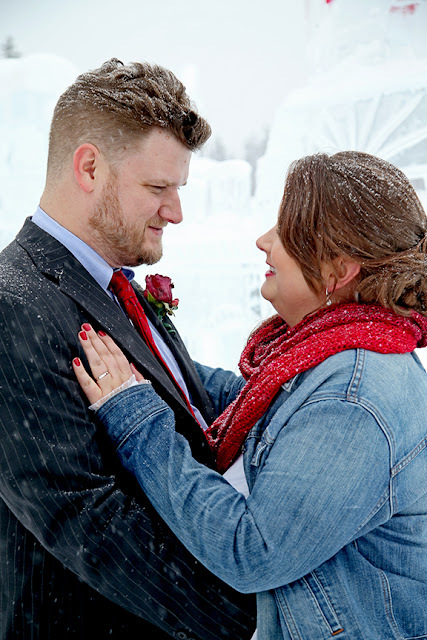 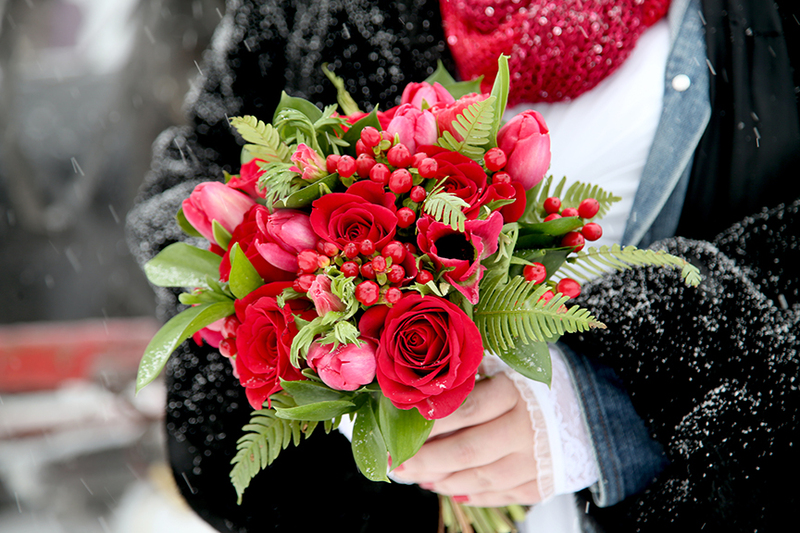 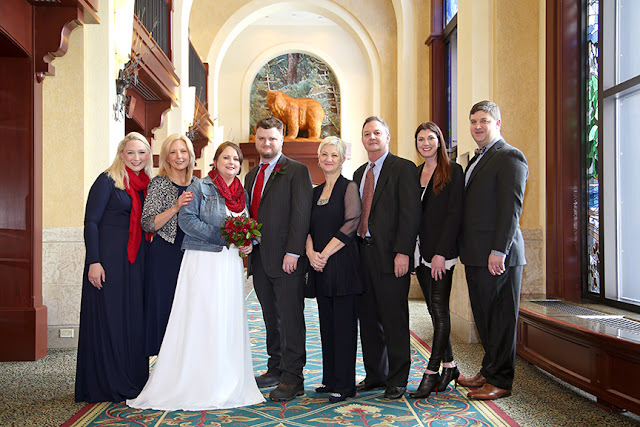 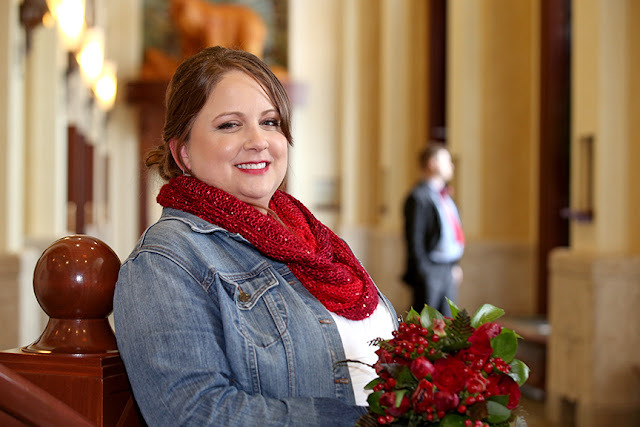 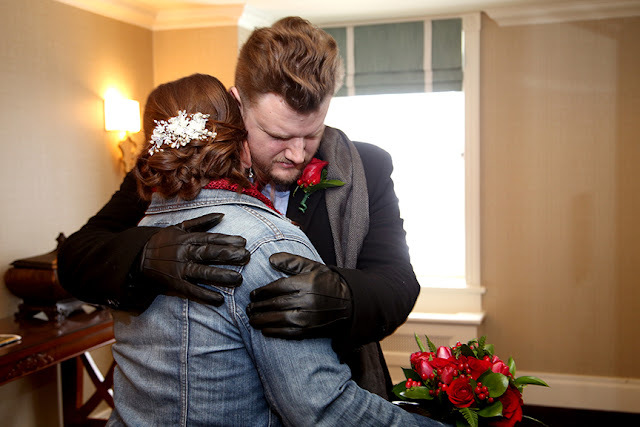 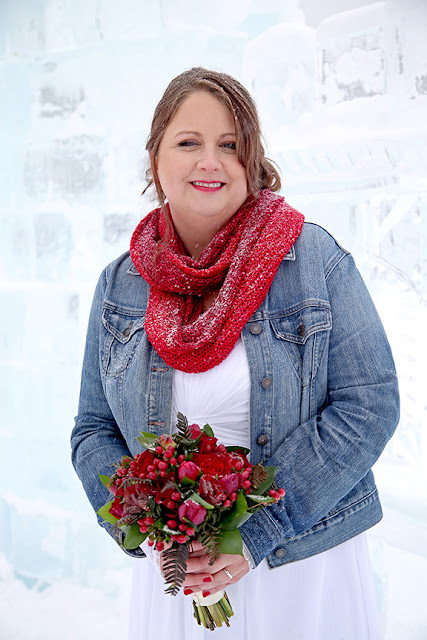 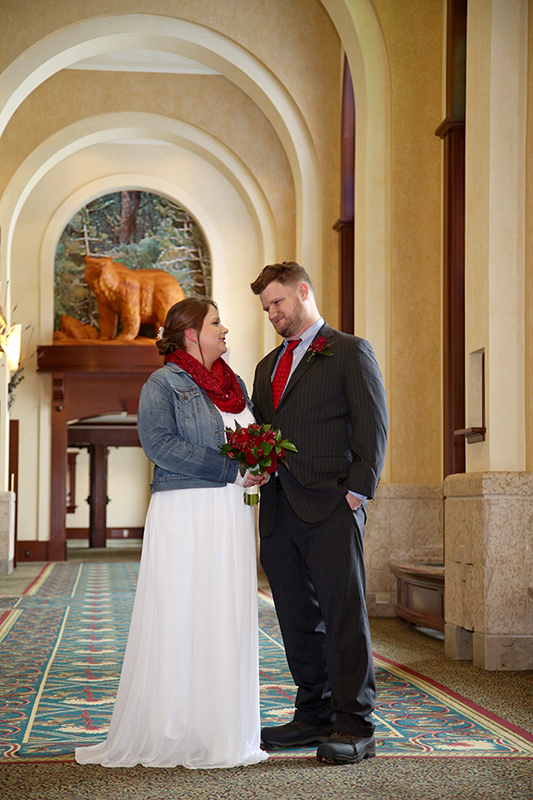 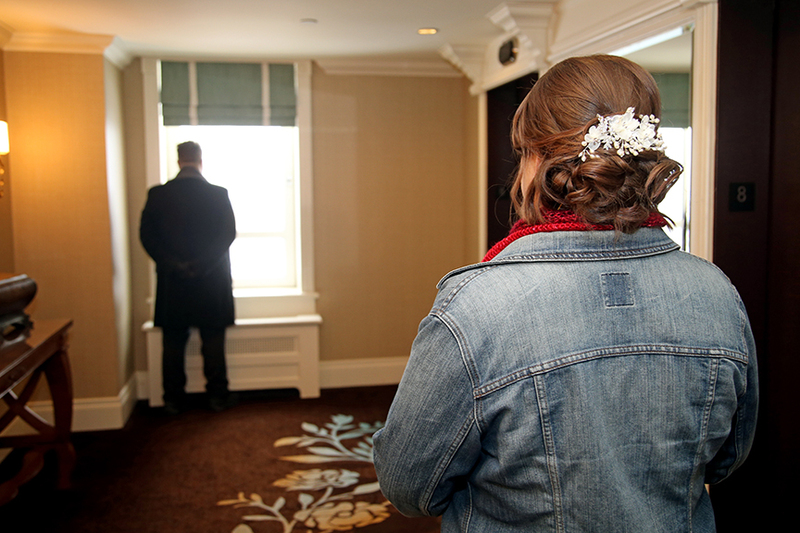 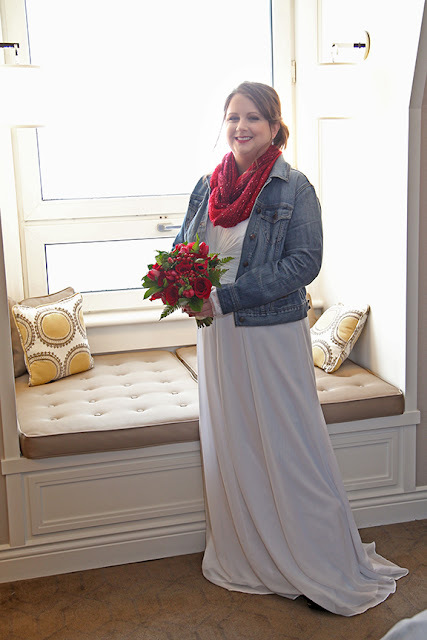 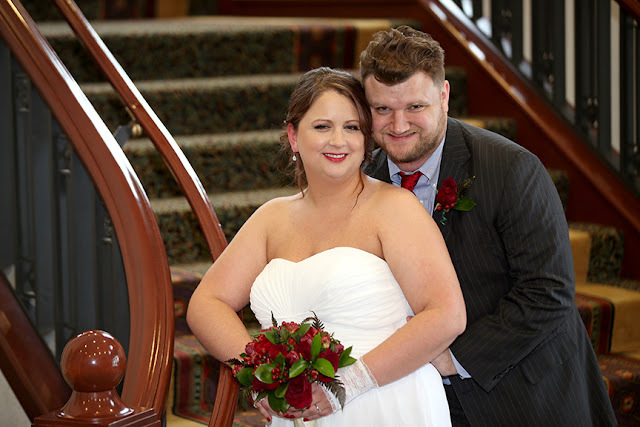 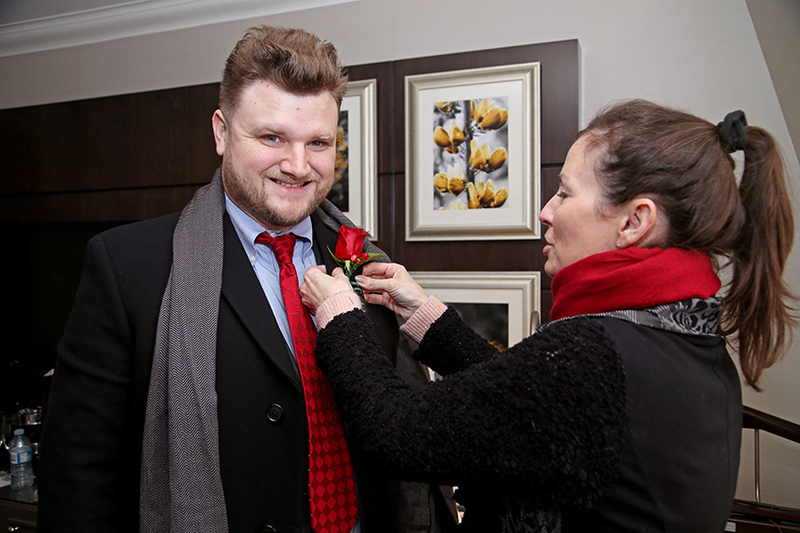 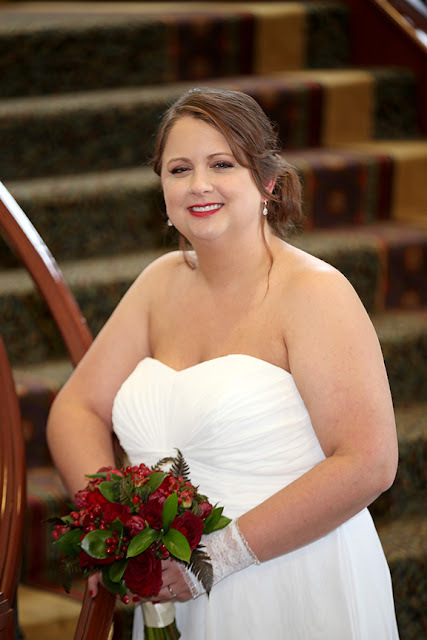 She wore a denim jacket and red infinity scarf over her wedding dress which gave her a more casual and fun look, complimenting the bouquet and contrasting with the snow. Congratulations to Hannah & Carter. 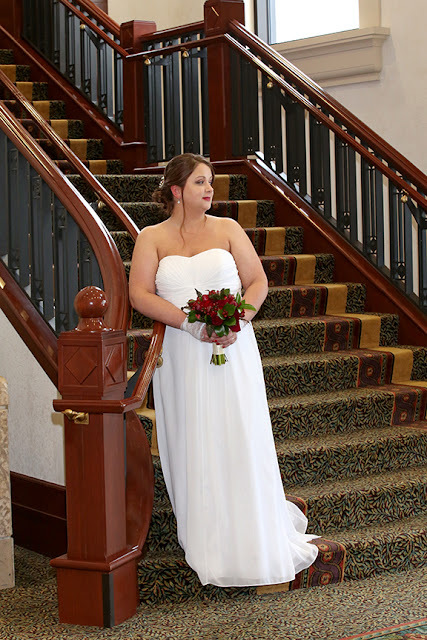 we are taking bookings for 2018 & 2019 be sure to contact us.